‘So Far Gone’, one of Drake’s first mixtapes available on streaming! Fresh off his Grammy Award win, Drake announced some good news on his social media. One of his collections called ‘So Far Gone’ will be re-released on streaming services. Already available on major streaming services, ‘So Far Gone’ was the third mixtape released by Drake. Launched ten years ago on February 15, 2009, it is said to be the catalyst of the rapper’s career. Alongside the announcement, the musician also thanked other artists such as Lil Wayne and Kanye West who helped him. Featuring musicians such as Omarion, Lloyd, Lykke Li, Lil Wayne and Bun B, ‘So Far Gone’ comprises a total of 18 tracks. The mixtape was originally available for free online and its first single was ‘Best I Ever Had’. The latter was met with positive reviews from the hip-hop world as well as from Drake’s fans, reaching number 2 on the US Billboard Hot 100. 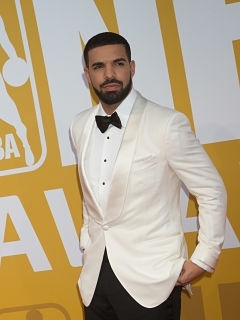 Considered as one of the world's highest-selling artists, Drake has recently accepted a Grammy Award for Best Rap Song for ‘God’s Plan’. The other accolades that he received include Juno, Billboard as well as American Music Awards. He is also known as an entrepreneur, having founded OVO Sound, his own record label. Furthermore, during a performance, Drake has announced that he will start working on a new project in early 2019. Following a roadshow with Migos last year, the rapper will start his ‘Assassination Vacation Tour’ later this year with Tory Lanez in Europe.